Your Money Milestones: A Guide to Making the 9 Most Important Financial Decisions of Your Life - IFA Vintage and Current Book Library - Index Fund Advisors, Inc. 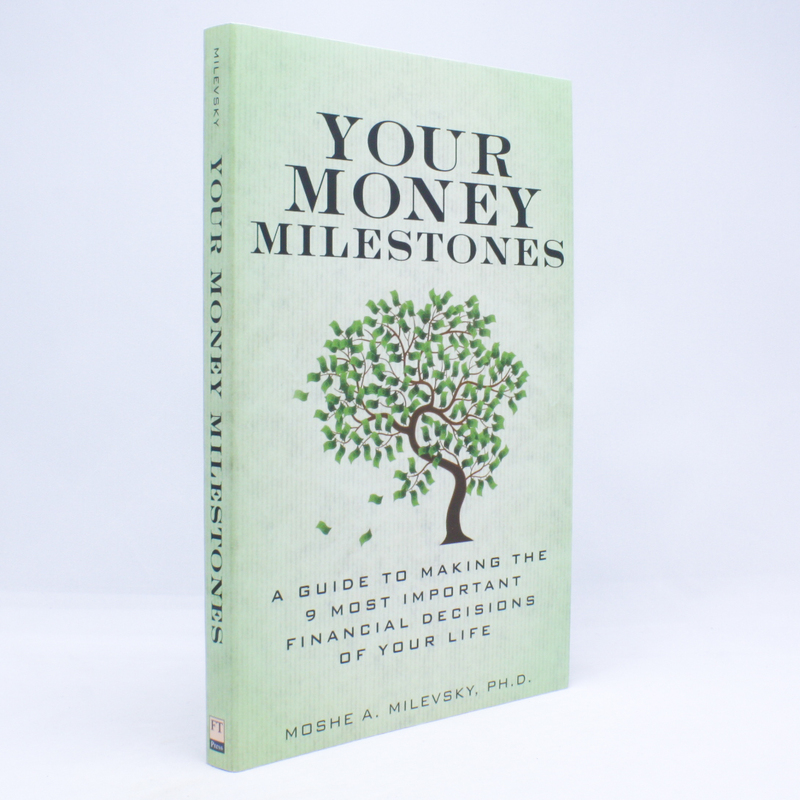 Author: Moshe A. Milevsky, PH.D.
Notes: This book offers a complete framework for thinking about money that’s every bit as provocative asFreakonomics. Drawing on the newest research into psychology and personal finance, Milevsky helps you identify thetruevalue all of your resources; budget for hidden liabilities in your future; plan to spend your total resources smoothly over time; and prepare for unexpected events that could upend even the most careful planning. You’ll discover why children are short-term investment liabilities but may be long-term pension assets, why winning the lottery may increase your chances of going bankrupt, and why giving up control of your retirement nest egg might actually make you happier. The insights are fascinating and useful throughout your life whether you're deciding what to study, contemplating your first home purchase, deciding whether to keep contributing to your 401(k), or considering when and whether to retire.